Nintendo's Pokemon Go has officially announced the Pokemon Go quests. 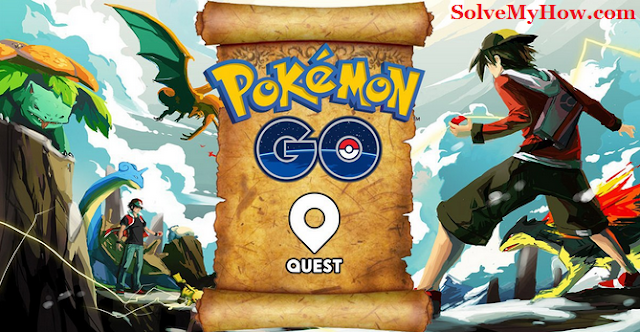 Do you want to know more about Pokemon Go quests? In order to help SolveMyHow readers, I've analyzed this app and collected all the information you need to know about it. I've prepared the detailed summary of what's new coming in Pokemon Go and the list is mentioned below. I recommend you to bookmark this article, as I will keep updating Pokemon Go quest as soon as I come new things in it! Well, there are 2 types of quests in Pokemon Go. Now, in addition to the "first catch" and "Pokestop", following 8 new quest objectives are added. Quests are going to be associated with the in-game character. Quest characters are not completed at this moment and only "professor Willow" is finished so far. That's why this has been mentioned the only quest character so far. This Pokemon Go quest has the following attributes in the code. ...And one thing you should know here, quests will be generated based on your template. So this was all about "Pokemon Go Quest". I hope I was able to clear all the things you need to know more about the quest. What you think about it? Do let me know in the comments below. You can also subscribe for SolveMyHow newsletter to get latest updates on "GAMES" right into your inbox!